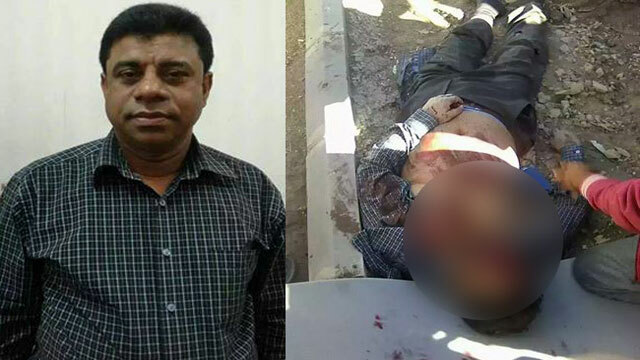 Riyadh, Dec 4 (Just News): A Bangladeshi expatriate was stabbed to death by miscreants at Sifa Sanaya in Riyadh of Saudi Arabia on Monday. The deceased was identified as Azizul Matbor, 48, son of Nur Mohammad Matbor of Sujondowal village in sadar upazila of the district. When Azizul was going to a workshop at Sifa Sanaya to meet a Bangladeshi man on Monday morning some miscreants swooped on him and stabbed him with sharp weapons, leaving him critically injured, said his brother Babul Matbor. Later, Azizul succumbed to his injuries on the way to a local hospital. Officer-in-Charge of Palong Model Police Station confirmed the incident.